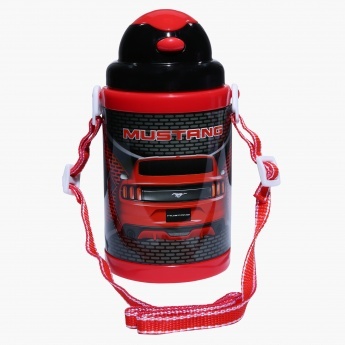 Sporting a car print on the front, this bottle is sure to delight your little automobile fan. 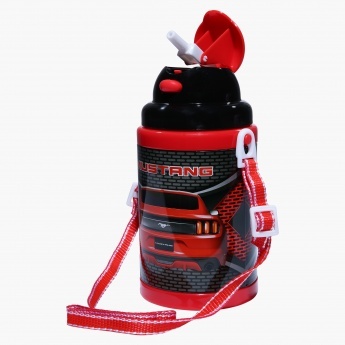 This classy bottle features a press button that needs to be pressed to access a straw and drink water comfortably. It also has a long shoulder strap making it easy for your kid to carry.